As ever, there is a fair degree of conjecture in what follows. Basic background comes from standard texts by Thomas and Ferneyhough. When it opened in September 1830, there was no timetable for intermediate stopping places on the Liverpool & Manchester Railway (L&MR), indeed no list of such stations at all. That's not to say that journeys to and from intermediate stops didn't occur even on suppposedly non-stop first class trains, just that it was a largely informal, smallscale affair with "road money" being collected by the guard. Thomas estimates that there were about 25 potential stopping-places defined largely by the stationing of an L&MR employee at a fixed location and, of course, a passenger. In 1831 when the first schedule of fares from intermediate stations was published, no times were specified for arrival at these locations. The reason given was that trains stopped only on request at staffed locations and typically at only around six per journey of the seventeen that had actually made their way into the schedule. Factoring in additional unnecessary stops would slow down operation of the railway for both the stopping trains (mostly second class carriages) and the first class trains that stopped for passengers only at Newton. These intermediate stations were mostly level crossings where the gatekeeper would stop the train when requested by raising a blue flag on a pole (passengers requested a stop via the guard). Although gates were generally present (stations often had the word Gate in their name), in quiet areas these were typically closed against road traffic by default. Gatekeepers were also involved in maintaining the track, the first cohort being recruited from labourers who had built the railway. Once on board, passengers paid their fare to the guard who apparently made his way between carriages while trains were underway. The guard also checked that passengers did not travel beyond their declared destination although the company did not make a fuss over what they considered a sideline to their main business of moving freight and passengers between the two termini. 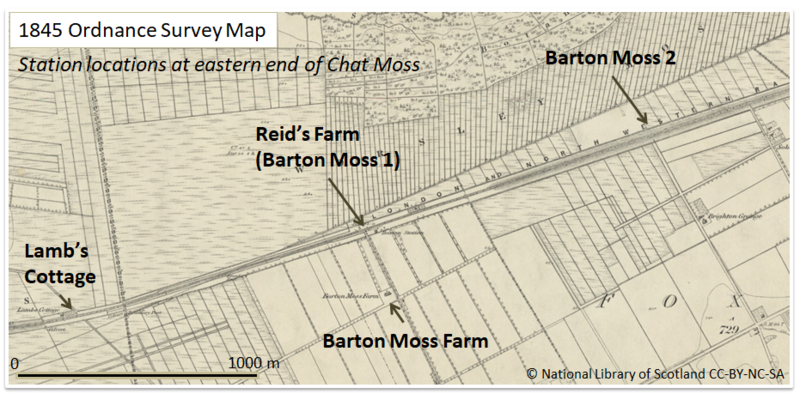 The remainder of this post attempts to answer three questions: why was a stopping-place on Chat Moss called Reid's Farm, who was Reid and what impact did the railway have on him? Among the early stations Reid's Farm stands out as particularly transient, appearing just once in the fares schedule in 1831, for some reason lumped in terms of fare with Patricroft for Manchester-bound trains and with Bury Lane for trains from Liverpool. By 1832 it had disappeared. The locations of early stations on Chat Moss changed frequently before ultimately disappearing completely from this thinly populated area. At the time Chat Moss encompassed a number of very boggy areas with the easternmost being Barton Moss. Indeed, it has been suggested that Reid's Farm became Barton Moss station although this itself closed, reopened and shifted location eastwards before finally closing again. The water-logged mosses made the area desolate and impenetrable to all but the most hardy and determined. Indeed, it was widely believed that it would prove an insuperable barrier to the passage of the railway between the Liverpool and Manchester. Embankments edged out from either extreme of the four and three-quarter mile stretch but spoil tipping was insufficient to bridge the most water-logged areas. Ultimately George Stephenson followed the advice of Robert Stannard and adopted a strategy of draining the relevant area and then floating the railway on a mesh of saplings, dried moss, sand and gravel. Stannard had been the first to establish a horse-drawn light railway on the Moss as part of an attempt by Liverpool polymath William Roscoe to bring the area under cultivation some 25 years previously. The bankruptcy of the bank Roscoe managed brought an ignominious end to his largely unsuccessful experiment, Roscoe hiding on the Moss from his creditors until his financial affairs were put in order. Others, however, continued the quest, notably Leeds MP Edward Baines who acquired much of the land that Roscoe had started to bring under cultivation. Baines employed a land agent to manage this enterprise, one William Reed. Reed's strategy for draining and fertilising the area of Barton Moss was notably successful to the extent that he was consulted on similar projects elsewhere and in 1833 had the distinction of being appointed secretary to the Manchester Agricultural Association. Reed apparently lived on Barton Moss Farm but probably had only a minor share in it. His role was more advisory and managerial and it is likely that whatever farming he did personally ceased around 1832. The farm itself was owned by a consortium of subsidiary investors in the Baines project, many from Liverpool (with possible overlap with railway investors). It was close to the railway and near the end of a lane with its own light railway used to carry first marl and later nightsoil (sewage) to the fields from Manchester whence it came by barge. As Barton Moss Farm was adjacent to the first Barton Moss station, it seems not unlikely that the latter's original name, Reid's Farm, derives somewhat obliquely from the farm's occupant, William Reed. This appears to have caused Reed some embarrassment as he wrote to the Manchester Guardian newspaper in November 1831 pointing out his very tenuous claim to the farm. This public repudiation might explain the rapid change of station name to Barton Moss. Barton Moss was abandoned in favour of Lamb's Cottage in 1832 but was back in the timetable by 1839 although it subsequently moved eastwards to its second position in 1862. The L&MR named at least one other station on Chat Moss after a local farmer, in this case McGrath's Farm which replaced Lamb's Cottage according to Thomas but appears otherwise largely forgotten. What little we know of Reed comes from occasional mentions in the newspaper and testimony he gave to parliamentary select committees, both indicators of esteem. We learn, for example, that Reed had previously worked in Surrey and that initially he was at best lukewarm about trains crossing the Moss. When questioned by a Parliamentary committee in 1833 he said that there was little use of the railway for taking produce to market and that the railway's transporting of Irish agricultural goods to Manchester lowered the profitability of farms on Chat Moss. As these farms had given jobs to poverty-stricken hand-weavers who had already lost one livelihood due to mechanization, this development potentially had severe consequences. What subsequently became of Reed is subject to a good deal of supposition, his name being a common one. One possible interpretation, hopefully an interesting one, follows. A land agent called William Reed then gives evidence on the performance of trains on the Liverpool & Manchester Railway in 1833 in hearings for the Southampton Railway bill. His firsthand expertise is gained in the presence of the resident engineer. It looks like the agriculturalist has changed track. 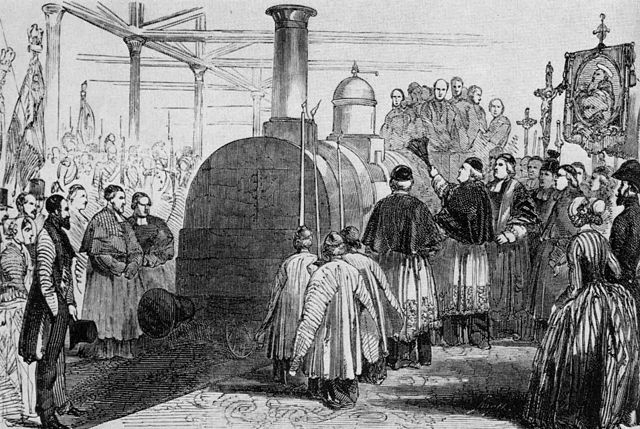 By 1834 Reed was giving further positive evidence of benefits accruing from the railway to a Parliamentary Committee dealing with the Great Western Railway. In Manchester his trail then goes cold. Perhaps the work on Chat Moss was now largely done and greater challenges lay elsewhere. Baines pointedly fails to name him in his history of Lancashire and gives credit for Chat Moss to his predecessor instead. In 1835 William Reed's name appears on a draft land conveyance on behalf of the Liverpool & Southampton Railway Company (L&SR; later the London & South Western). He is listed on the document as secretary of the company and is living in Vauxhall, Surrey. The company was incorporated in 1834. A William Reed becomes a member of the Institution of Civil Engineers in 1840. The William Reed from the L&SR then moves to France to act variously as secretary or director of the largely British-built Paris-Rouen, Rouen-Havre and Paris-Strasbourg Railways in France. During this time he probably lived in Paris in Rue de Berlin. Liverpool financiers such as John Moss and Charles Lawrence figure as directors of some of these enterprises and it is possible that the connection goes back to the Chat Moss days. These and others such as Chaplin, Locke and Brassey also featured in the L&SR. Reed features prominently in the diaries of railway contractor William Mackenzie between 1841 and 1849 alongside railway luminaries such as Locke and Brassey during construction of the railways in France. Latterly Mackenzie refers to him as "Old Reed", possibly to distinguish him from "Ch Reed" who is also mentioned. MacKenzie died in 1851 at the age of 57 and is buried in the churchyard of St Andrew's Church, Rodney Street, Liverpool. The year 1845 saw a peak in railway projects and in 1848 a William Reed is listed as being or having recently been a director of the Dutch Rhenish Railway Company and the Royston & Hitchin Railway Company. Bradshaw's Register of 1862 lists him under both the Severn Valley and the Wimbledon & Croydon. However, a street directory of Kensington states that he is employed by the seaman's wages branch of the Admiralty. Perhaps this is a consequence of the railway bubble bursting but it might also mistakenly refer to his son of the same name. Apart from his business affairs, little is known of Reed other than his having spent time in Surrey before his move north. The Reeds were a prominent county family but his origins are obscure. During his tenure at the London & South-Western he lived adjacent to the line at Weybridge in what may have been a company-owned mansion called Fir Grove that was subsequently purchased by his chairman John Easthope MP. He had at least two daughters, Mary (possibly also known as Polly) and Rosa, and four or more sons, including William Thomas Reed (first son) and Charles Edward Reed (fourth son) and it is the latter who appears alongside William on the list of directors and staff of several projected railway companies. A limited family history search has been carried out using the free census database FreeCEN. This suggests that in 1851 Reed's wife Elizabeth Bishop, aged 59, was living on the south coast at Hove along with her two daughters Mary and Rosa and two of her sons, Charles Edward and Frederick. Of these the eldest was Charles Edward ("occupation: gentleman") who was 25 and had been born in Streatham, Surrey. His sister Mary was 22 and listed as born in London, Middlesex. The two youngest, Rosa (18) and Frederick (16), on the other hand were both born in Salford, Lancashire. This suggests that Elizabeth was resident in Lancashire between 1833-1835 although her husband had started work in the south towards the end of that period. The house, 39 Lansdowne Place, was part of a well-appointed terrace adjoining the sea front and the family had a butler, cook and housemaid. The location would have been convenient for visits by the children to their father in France. Indeed, William Mackenzie's diary mentions that he dined occasionally with Elizabeth and the two daughters as well as William ("old Reed") and Charles Edward. Reed is also sometimes accompanied by a Miss Harcourt who is probably his niece. His sister may have married a Harcourt, a 66-year old James Harcourt being listed in an 1861 census return for Thomas (Thos.) William Reed. At this time Thomas, born in London, was 42 and resident in Beech Lodge, Isleworth, with his wife Maria. Harcourt was a half-pay officer born "W Indies Calcutta" raising the possibility that William or Elizabeth might also have had overseas military connections. Reed's connection with the projected Severn Valley Railway dates back at least as far as 1857 when he is listed as deputy chairman with Charles as secretary and Sir Samuel Morton Peto as chairman. Around this time Reed was living in Hanworth, Middlesex, but seems to have moved to Kensington where he owned and let a number of properties, finally selling his own house in 1862. 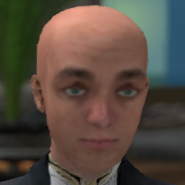 He is described as a "man of substance". His son Thomas William Reed describes himself as a "proprietor of houses" in his 1861 census return so may have taken on this role from his father or alternatively father and son may have become conflated. William Reed may then have maintained a London residence, Winter Lodge (and/or Oak Lodge), on Addison Road, Kensington and a country house at The Mount, Sunninghill. Reed died on October 15th, 1865. The notice in the Gazette(pdf) ties together his residences in Sunninghill, Kensington and Hanworth, all of which are cited in railway company lists at one time or another. If there is an obvious weak link in the narrative, it is in the transition from Chat Moss to London. It seems not unlikely, however, that he impressed the Liverpool men with hsi competence and had a skill set that was of value to them. Mackenzie's participation in the Paris-Strasbourg project was, he said, conditional on Reid acting as British co-director. Nobody else would do.